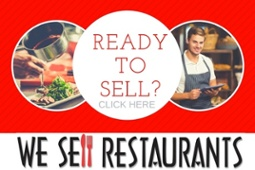 Thinking of selling your restaurant and unsure where to start? 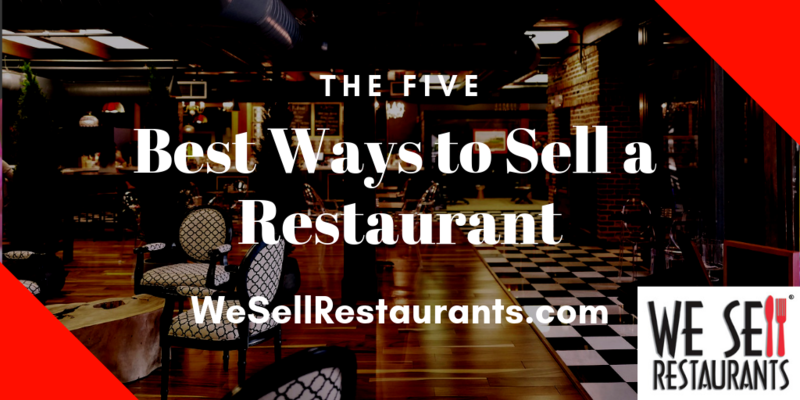 Here are the five best ways to sell your restaurant that will have you ready to go in no time. First and foremost. Get your books in order. Accounting is no one’s favorite task. If necessary, bring in help to get the books ready to go. Restaurants are sold on a multiple of cash flow. No matter how much you are doing in sales and no matter how great the business looks, the books and records are the key to getting the most money in the shortest amount of time. How many restaurants (no overall businesses) have you sold? How do you market my restaurant for sale? Do you have financial training, an MBA or other degree that demonstrates you understand valuation? Are you a Certified Business Intermediary? This designation is given to less than 500 people worldwide who pass extensive testing by the International Business Brokers Association. Finding a knowledgeable resource is one of the five best ways to sell a restaurant. Third on the list of best ways to sell a restaurant is to view the store with a critical eye. If you usually enter the front door, go in the back. If you usually come through the front, enter through the kitchen. Look around the space. Look up and look down. Are there ceiling tiles that are dingy and have grease clinging to them in the kitchen? Does the bathroom need a paint job? You’re not selling a house and all pricing decisions should be based on cash flow, but buyers are critical when the store has obvious physical flaws. Take a month or so and get the store in order before putting it on the market with peeling floor tiles and cooler doors that don’t close. If you’re selling your restaurant, you are selling the furniture, fixtures and equipment. Buyers must know what they are getting. These are the physical assets that transfer in the location. It is time consuming and a pain, but a list of equipment is necessary. If you want a starting point, ask your broker if he has a list to get you going. We routinely provide these as a starting point. A few tips on generating your equipment list. First, never include equipment that isn’t working. Pull it out of the space. You’re not using it today to generate the earnings so the buyer won’t need it but if you leave broken equipment in place, they will expect it to be replaced or repaired prior to close. Also remove anything personal that won’t transfer in the sale. If the Antlers over the fireplace are from the first deer you ever bagged and you refuse to transfer them, pull them down before you list it. Once a buyer sees these items, he will expect them to convey in the sale. The best way to sell a restaurant is to understand where you’ll be when the dust settles, and the money is paid. You need to know what you owe any partners, any banks, lenders or others going into the transaction. The last thing you want to do is get a deal in place and realize you don’t have the funds to close. If you owe more than the restaurant is worth, this is not a deal killer. A strong restaurant broker can work with you on negotiating settlements and give you tips to get you out of a tough situation. Just be up front and know what the problems are before they come knocking. These are the best ways to sell a restaurant. If you want to speak to a restaurant broker for more details, reach out to We Sell Restaurants or click the link below. Our experts can help. If you’re working in a restaurant or sitting at your computer in corporate America, visualizing yourself as a restaurant owner, read on. This post is for you. You may intellectually know that buying a restaurant is frightening and full of unknowns. Your friends and relatives may tell you that it will be too much work for not enough reward. Meanwhile, the idea keeps returning to you day after day, as you work for someone else. Are you the person who gets the sense you could do this yourself? Are you passionate about the restaurant industry but just not happy in your current role? Did you find yourself pushed into a college career tract that now has you sitting in a cubicle while your mind is churning out ideas for the next great concept? It could be time for a change in your life and you just may be ready to buy a restaurant. In working with hundreds of entrepreneurs each year, we see common signs that now is the time to go ahead, take the plunge and buy a restaurant. If you’re experiencing these signs, it may be time to stop procrastinating and buy that restaurant that’s on your mind. Food is more than fuel for the body for you. Your social media stream is filled with photos of food (and you took most of them). You’re first to check out the latest restaurant and you have ideas to improve the experience every time you dine. You have a real excitement for the act of breaking bread that involves all five senses and delivers an experience. This is sign number one that you are long past being a secret foodie and well on your way to buy a restaurant. Are you feeling unfulfilled in your current role? Whether it’s filled with prepping someone else’s menu or handling another spreadsheet, life is too short to live unfulfilled. You keep waiting on the current guy in charge to leave but realistically, where does that leave you? For some, the 9-5 and reporting to someone else just isn’t for them. This is a sign you’re ready to head out on your own and potentially buy a restaurant. Some of the greatest minds of this century believed there was a bigger purpose to their life. Where would our lives be if Bill Gates was happy hanging out in college instead of dropping out to build what we know today as Microsoft? On the food level, imagine if Bobby Flay was happy as a chef and never saw the bigger vision of bringing food to the masses and joining a fledging start up network called “TV Food network” in 1993? Would we all be so smitten by the food industry without him? We often speak to college and university students as guest speakers on entrepreneurship. We always remind them to strike early in their career to try something risky. Take on the risk before you take on the mortgage and two kids or make sure you’re prepared for both the best and the worst. Those who are in the market to buy a restaurant have measured the risks and are still ready to go. If your creative juices don’t turn off, you might be a closet entrepreneur and not know it. Those who buy a restaurant are always trying to figure out the way to do it better, faster, smarter. If you’re experiencing this sign and living in corporate America, you’re feeling a bit of your soul get stifled each day. In your own business, you reap the reward for your ideas. You might be ready to buy a restaurant if you don’t need a team to resolve a problem. That’s a sign of independence that broadens your opportunities. Those ready to strike it alone, know that while a team is important, they can handle a challenge on their own. Group think is not a byproduct of the entrepreneurial spirit. No one gets you moving. You don’t need three alarm clocks to open the day. You approach each knowing what must get done and relish in seeing it accomplished. This sense of self-motivation from within you inspires others. That’s a sign you may be ready to buy a restaurant instead of working in someone else’s. Whether your skill set is front of the house or back of the house, you have the skills to organize the day’s work and the week’s calendar. That’s a critical skill for operating a business and a sign you’re ready to go. You’ve been in the industry or been in the corporate world long enough to know that you can do better than your current situation. The wait times are unacceptable, or the hiring practices don’t work. You have ideas to get it right. That means you can improve it for yourself and for those on your team. It’s not egotistical. It’s a sign you’re ready to buy a restaurant. You want more for your family than you had growing up or you want to create something your family can participate in and grow together. That’s a sign that where you are will never get you where you want to be. You know you must build that legacy on your own and it’s a sign you’re ready to buy a restaurant. Review your motivations, your yearnings and your thoughts over the past few months. 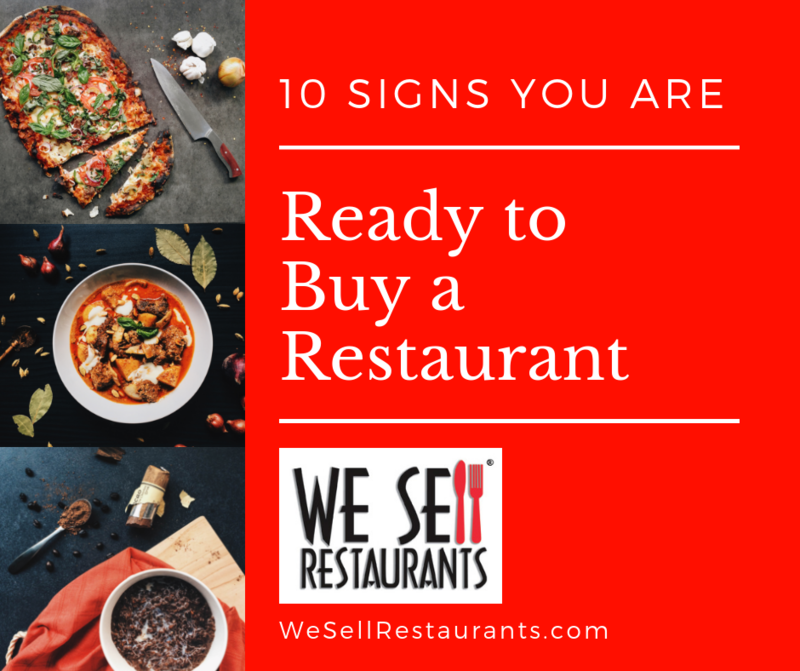 If you’re exhibiting all these signs, it could be that you are indeed, ready to buy a restaurant. 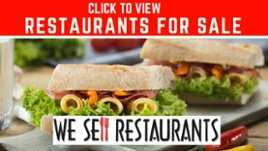 Want to see our restaurant for sale listings? Check out this link for hundreds of opportunities waiting on you! From Food Network to Top Chef, everyone is in love with the restaurant business. Are you feeling the burn to bake or the craving to cook? 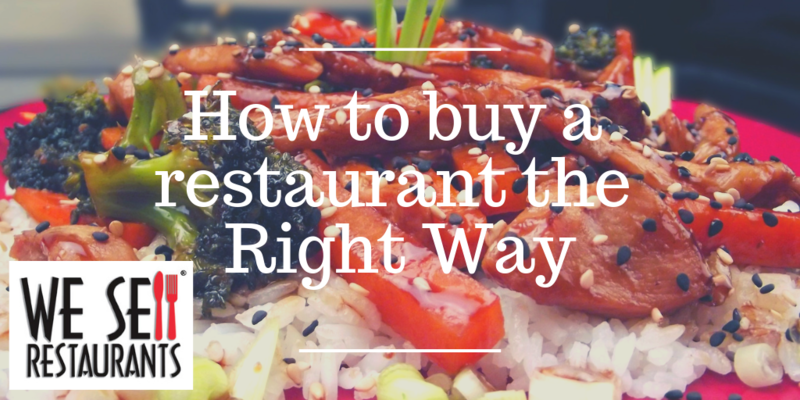 Here’s how to buy a restaurant the right way and master the industry from day one. The most important lesson. Check your ego at the door and buy a restaurant before you build. Here are three reasons this makes the most sense. When you buy an existing restaurant, you are purchasing a proven track record and profitable returns. You know exactly what your costs will be to acquire. There is no cost overrun from a builder that didn’t quote the project correctly. There’s no delay on equipment to be delivered while you burn up valuable cash reserves in rent. You know up front what your fees will be and can plan accordingly. Building something from scratch makes you feel more in control and allows you to get everything just right - but in the restaurant industry, the opposite is often the result. The perfect pizza oven from Italy will get stuck in customs for three months and the tile you just must have will be backordered while you burn up valuable dollars with no earnings. Whether you buy a franchise restaurant or independent concept, the control over costs is real when you take over someone else’s operation. Another reason to buy an existing restaurant are the verifiable earnings on the books. Restaurants with good books and records can often be acquired for three times earnings or less. An owner-operator of a restaurant can buy a restaurant for sale and pay off the purchase in less than three years! That leaves you with a debt-free income stream. That’s a great reason for a restaurant buyer that values earnings over risk. It’s another way you can buy a restaurant the right way. Earnings come more quickly in the restaurant market to those that buy instead of starting from ground zero. Restaurant buyers find that the advantages are almost immediate. You may be putting capital at risk but you are seeing returns immediately based on the past performance. That lowers the risk; making it a wise decision. Buy a restaurant that’s already in business and turn the key to operate. Those looking to buy a restaurant can shorten their time to market when you buy a restaurant that’s already created. Would you rather be in business next week serving up your creatively curated cuisine? Or would you rather wait six months and push through the headaches of build-outs and permits before you can even open the door? With competition in the restaurant game as fierce as it is, there is no time to waste. Your idea could be taken by the time your permit is approved! Don’t wait for your dream to happen. 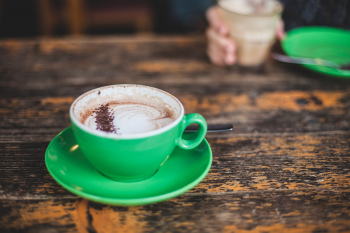 Take charge today when you acquire an existing restaurant versus starting from scratch. People want to get into the restaurant business - and with good reason! The restaurant industry provides a great lifestyle and control over your own destiny. Everyone from retirees opening cafes to moms with five-star juice bars agree that this is a fun industry with lots of potential. Take our advice and buy a restaurant the right way so your dream becomes an immediate reality. There are brokers like We Sell restaurants that specialize in helping you buy a restaurant and have access to listings and information on multiple, up to date opportunities in the marketplace. Buying a restaurant that is already established gives you clear costs, verifiable earnings and income, and an instant path to opening. It’s how you buy a restaurant the right way. Ready to see restaurants for sale? Franchise restaurants, as well as all franchisors, experience a natural phenomenon known as turnover. As part of the natural life cycle of the brand, some units will become available for sale. The typical reasons for selling are common to virtually every brand. For some, it’s burnout or a different expectation for the actual life of the franchisees versus what he or she expected. For others, it’s a partnership issue which could include a divorce or marital split or simply two partners that no longer have the same goals. For others, it may be the evolution toward retirement and life after work. In any case, a franchise resale occurs when the current owner of a unit, for one reason or another, opts to sell the store before his original franchise term is over. Does that mean something is “broken” in the brand? No. In fact, it is healthy and appropriate to see a rate of around 5% to 7% in franchise restaurant resales for a mature concept. There are even higher rates quoted in the industry. The International Franchise Association suggests on their site, franchise.org that the number could be as high as ten percent. No matter the rate, the important thing for franchise brands to know, when they are facing resales, is that this task is best left to a specialist. Here are the top five reasons why We Sell Restaurants would tell you to seek outside help for franchise restaurant resales. When the franchise restaurant resales surface, it’s important to choose a path that results in a good outcome for both the franchisor and the franchisee. Here’s why we believe there are five reasons you never, ever want to handle your franchise restaurant resales. Those selling new franchises have a totally different skillset and focus than those buying new development opportunities. The financing requirements are different. The cost structure to buy and staff is different than for building from scratch. Most brands that go down this path segregate their team between new sales and franchise resales for a reason. Resales are very time consuming, with many moving parts. It’s outside the normal business practice and process, thus costing more effort and training with your team. The customer buying a franchise restaurant is very different from those willing to build from the ground up. The Franchise Resale customer has a much lower risk tolerance and a much higher need for security and ability to conduct due diligence on the numbers. He or she will need much more hand holding and materials from the seller. Asking your development team to simultaneously handle new franchise sales and franchise resales is putting them at a disadvantage. Reason 3: Ask Your Lawyer. Your Legal Team will tell you to never handle Franchise Restaurant Resales. In the process of re-selling units, there will be a need for a valuation. Do your team members have the expertise to provide that valuation? The difference in even a few thousand dollars could easily benefit one person over the other. Where does your loyalty lie? Is it with the established franchisor who has been a loyal customer for many years or the new guy that you want to be sure doesn’t overpay or become over-extended? Item 19 or Financial Disclosures made in the FDD are not applicable to franchise resales so someone without the expertise and benefit of a strong financial background in your development team could expose your brand to major liability in the process of disclosing numbers. Who is sourcing those numbers and what’s your liability for sharing them? If they turn out to be flawed or there is a legal issue, will the buyer go after the individual unit owner or you, as a franchise brand? Are you charging a fee for your services? Before Franchise Resales are handled internally, as your legal counsel for an opinion. We believe he will tell you to steer clear of these transactions and bring in an independent third party for franchise resales. The requirement to generate leads is a costly proposition. Those leads and the advertising is very different for the two different customers, one seeking an established business, versus one seeking a proven opportunity. Let an outside resource commit their dollars to resales while you focus the dollars on one lead funnel with one set of costs. Another reason for a brand to avoid franchise resales is the requirement for licensing. 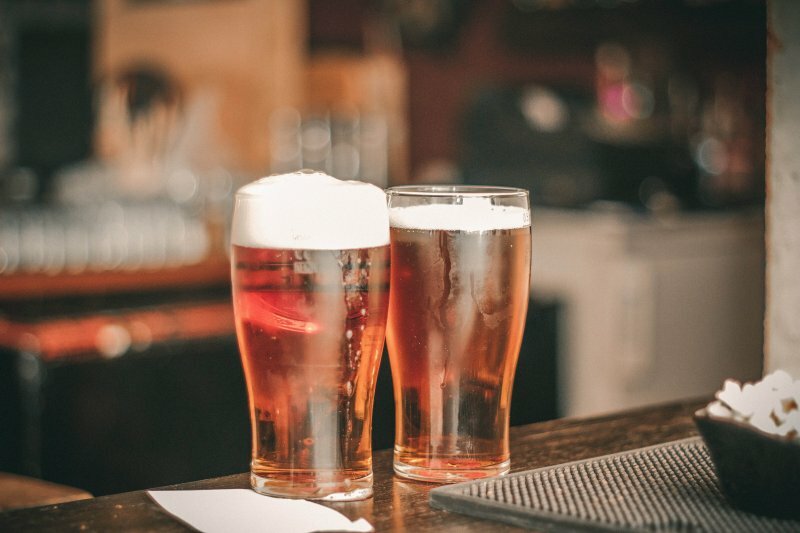 Reach an agreement with a firm like We Sell Restaurants with the proper licensing in all the states where it is required. The last thing you want to do is open yourself up both regulatory issues with the sixteen or so states that require a license. In some states it is a misdemeanor to practice business brokerage without a license. In others, like Florida for example, it’s a felony. That’s not the only reason. If you have an unhappy buyer or seller, you just opened the door for a lawsuit if they don’t like the outcome of the deal and you’re practicing without a license. If you are running a successful franchise program, our advice is to stick with what you do best. Avoid the issues with franchise resales by contacting an independent third-party specialist like ours. We build programs to eliminate the risks for the franchise and integrate to their practices for resales. Consider these five reasons to avoid internal resales and understand why they should never be part of your focus. 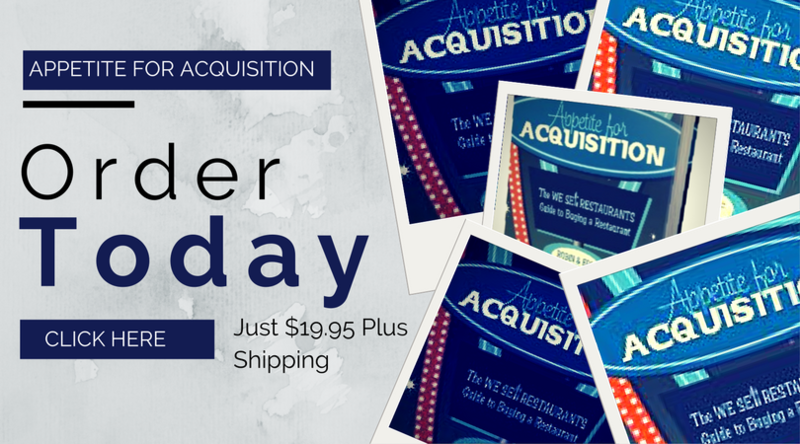 Looking for a franchise resales specialist? Contact We Sell Restaurants or visit www.wesellrestaurants.com for more information. 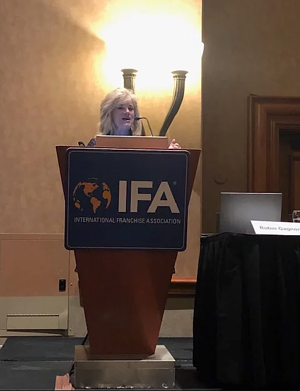 I recently had the privilege and benefit of attending my first IFA conference in Las Vegas this past week. First and foremost, my sincere congratulations and thanks to everyone at the IFA who were involved in putting together such a first-class event. The content, guest speakers, vendor-supplier representation, and the round tables were all incredible. Each presentation was headed by passionate and knowledgeable industry leaders in the Franchising arena. I had some great one-on-one meetings and attended several round table discussions, where the topic dealt specifically with resells and succession planning. The two overwhelming themes that came up throughout were that many franchise organizations had not anticipated the natural evolution of franchisees who were ready to sell their business and they were not prepared, or equipped, to handle them. A seasoned franchise is accustomed to franchisees exiting, for a variety of reasons, and it has become the natural evolution of the business. Some Franchisees get into the business and realize, relatively quickly, it’s not right for them. Others are wildly successful, build significant equity in their business, and reach a point in their lives when where they want to retire and secure that equity they have built by selling their franchise(s). Other franchisees experience life events that require them to find a new owner for their franchise. Then you have the owners who, for reasons unknown, are not realizing their full potential and decide to cut their losses. Regardless of the reason, when a franchisee decides it’s time to sell, It creates a secondary market for existing franchises. This event accounts for somewhere between 4-7%. Though the question remains; What is the best way to address them? While this may sound a bit self-serving, Business Brokers were their number one “go to.” Two main reasons for this approach repeatedly surfaced. The first, was not having the resources and manpower to handle resells. Second, was to keep the Franchisor’s focus on finding new business versus recycling existing business. Addressing these two “needs” is where Business Brokers are essential. In the Restaurant space, whether Fast Casual, QSR, Treat, Bar, or Full Service, We Sell Restaurants can provide the resources and client-reach to address these objectives. The resell buyer looks very different from the new franchisee. There may be more risk adverse; meaning they want to purchase a business with a history of revenue and cash flow. They may have different financial access; meaning the resources required to acquire a resell may be less stringent than that of a new build out. Our marketing and client focus is targeted at resell buyers. By pointing your existing Franchisees toward Business Brokers, it keeps them separate from new Franchisee acquisition. Regarding resources, We Sell Restaurants is a Full-Service National Restaurant Brokerage that helps value and market the business, acquire and prequalify interested buyers, secure lending, negotiate lease terms, and work very closely with the Franchisor on approval and onboarding. This allows Franchisor to focus on their core business model. If you are a Franchisor in the restaurant space looking for assistance in this complex arena, I am happy to help you navigate the somewhat complex waters of the restaurant industry. The doors have closed, and the franchise brands have all headed home. What did the highlights of the annual convention bring all of those in the industry together this year? Restaurant Brokers Eric and Robin Gagnon attended from We Sell Restaurants along with Steve Weinbaum from the Atlanta office. The high point of the opening session had to be the words of Gary Vaynerchuck or “Gary V”, the keynote speaker. He challenged franchise restaurant brands to see the disruption occurring in the industry and move media dollars out of traditional methods like TV and into digital channels like Facebook and Instagram. He noted that the attention of the end consumer is shifting and there is an enormous opportunity to leverage dollars. His advice to the brands – make $1.00 spend like $10.00 instead of spending $10.00 in precious dollars only to have it return $1.00. For this marketing guru who grew a $3 million dollar wine store and built it to $60 million before launching his own digital media company, it’s all about contextual creative that gets to the heart of the ultimate end user. In his words, the number way to win – “Build an actual brand” and the volume of creative is imperative. He reminds restaurant franchise owners and all franchisors to have the discipline to create and get in front of the consumer with contextual creative. What’s the restaurant of the future according to this visionary? It may be a commissary with no brick and mortar that builds an incredible online brand presence and delivers 100% of its product through services like GrubHub or EZ Cater. As a franchise restaurant owner, does that strike fear in your heart? It should as it suggests that just like taxi cabs and car services who never dreamed of Uber and Lyft, a restaurant franchise can be replaced with an online brand. Eric Gagnon, President of We Sell Restaurants, picked up power tools to work at a local school as many brands embraced Franchising Gives Back. 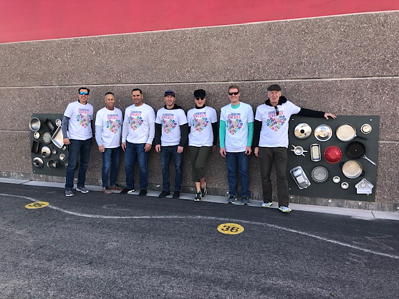 The work of this team, at an elementary school in Las Vegas will send children back to school with smiles and renovated playgrounds and classrooms. Franchising Gives Back is a national commitment by the International Franchise Association to band together in communities across the nation and share with those in need. Robin Gagnon is a member of the Women’s Franchise Committee and the sub-committee that produces the Annual Leadership Conference. This year, Nick Friedman, co-founder of College Hunks Hauling Junk, led the program focused on culture. As he reminded the audience, it’s not what’s on the walls; it’s what’s in the halls. He terms a brand’s culture, the “immune system” of the business. The strong focus of this brand on core values instills the culture at all levels of the organization. He also reminded the group of more than 300 that you must balance the “Sesame Street” approach to a fun workplace with the “Wall Street” demands in order to have a result based organization. In his words, “With no margin; there’s no mission”. He told franchise restaurant brands to repeat the values often for these to permeate the brand. Does it work? For College Hunks Hauling Junk, the focus on culture has paid tremendous dividends in building one of Inc Magazine’s Fast Growing Companies. A legislative update to the Women’s Franchise Committee suggested that the $15 minimum wage is probably going to pass on the House floor though the strong legislative arm of the IFA suggests it will probably fail in the Senate, leaving that bill, like many , at an impasse in today’s political climate. The impact of this wage law on independent and franchise restaurants where we have seen this implemented has resulted in loss of jobs, cut backs in hours and overall loss in restaurant count. Robin Gagnon, co-founder of We Sell Restaurants, moderated a panel with Google’s Maresa Freidman and NetSearch’s Mike Myers. The presentation was titled, “Online Search in a Digital world, will you be left behind or lost online?” Key Takeaways from the session dovetailed with the keynote speaker as the Google team emphasized that an increase in connectivity is dramatically changing search. The other key takeaway was a reference to today’s newly empowered consumer. Google’s advice to the restaurant franchise world and all brands was simple. Be there, be valuable and be quick. They estimate there were 8 billion devices connected worldwide in 2017 and by 2020, they expect that number to hit 20 billion. Time spent online in 2019 every single day is estimated to be 6.9 hours. Measure every moment was another piece of advice offered by Google. It’s no longer about the final point before a customer buys but every interaction in a series of touches with your brand that gets them to the point of purchase. Eric Gagnon, President and Co-Founder of We Sell Restaurants, moderated a panel that included both franchise restaurants and other national brands. His session, titled, “Building, Maintaining and Growing Positive Relationships with Your Franchisees,” was also moderated by Andrew Bleiman, Managing Attorney with Marks & Klein, LLP. The participants ranged from emerging franchise restaurant brands with less than 50 units to powerhouse franchisors with 500 or more stores. The sharing between these groups made the business roundtable format a win all the way around. Robin Gagnon moderated a Business Solutions roundtable on the Topic of “How to Make a Good Franchise Great.” Participants also ranged from entry level players to those with units in the thousands. Key takeaways around communication included a suggestion to put Franchise Units together on a What’s Up App to share knowledge in a quick hit. Those who report up to a Franchise Business Consultant with a range of approximately 20 – 30 units can use this tip for instant communication and connection. In addition to the great events above, the sessions were packed with restaurant franchise brands and other segments of the industry. The closing session of IFA saw the installation of Dave Barr as the new incoming IFA President. The action packed days passed in a blur but strong networking and great exposure to ideas is what the International Franchise Association Conference is all about. Stay tuned to our blog for an update from Steve Weinbaum, Certified Restaurant Broker who also attended the packed event. 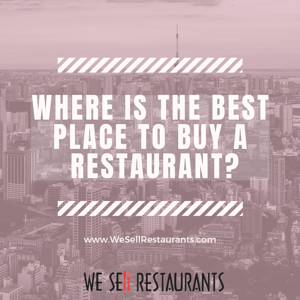 Where is the best place to Buy a Restaurant? We Sell Restaurants weighs in on the Best Place in America to buy a restaurant. You might be surprised by the answer! A recent article suggests that those in the market to open a restaurant look at what they term as “second-tier” or “third-tier” cities. We Sell Restaurants has been advocating a similar approach for those in the market to buy a restaurant for several years. What’s a “second-tier” city? Think about cities that don’t host an NFL team like New York, Chicago or Los Angeles. Instead consider towns like Ann Arbor Michigan which ranked second on the list. Other cities that hit the top ten in this recent publication included Arlington Virginia (but not D.C.) and Scottsdale Arizona. What’s the benefit for owners to buy a restaurant in Ann Arbor or Arlington versus Detroit or D.C? One key difference between so-called “second tier” cities and the most populous markets in America is rent. A key component to success in the industry is strong control over occupancy costs. The top cities in the nation have what some would term exorbitant rent levels, making it virtually impossible for a restaurant to operate at a profit. As Restaurant Brokers, we counsel our clients to manage total occupancy which includes their base rent, plus cost of common area maintenance, taxes and insurance at a maximum of ten percent. While that’s an ideal level, we find most major cities make that an impossibility. Consider an example in Atlanta Georgia where we see rates for base rent hitting the $35 to $40 per square foot mark for a basic shopping center space (no end-cap, small patio). Taxes, common area charges, insurance and other costs push that total occupancy rate up to $50 per square foot. At a level of fifty dollars per square foot, a simple fast casual concept in a 1500 square foot location would need to generate sales volume of $700,000 per year to hit the ten percent occupancy mark on a rent bill for the year of $70,000 or $5833 per month. Is that attainable? For most restaurateurs, it is not. An operator must be at the top of their game to push that type of volume and pay the rent level requested in major markets. Another reason to focus your search to buy a restaurant in less populated markets is the ability to stand out in the mix. For major league cities there is heavy duty competition. Virtually every concept you can think of has been developed multiple times. You won’t be one of five fast casual sandwich shops, you will be one of fifty. For the middle market landscape, you can carve a niche and get returning customers, a much less expensive prospect than constantly having to attract new ones among steep competition. Buy a restaurant in a second or third tier like Plano Texas versus nearby Dallas. You’re reap the benefits from limited competition and loyal customers. 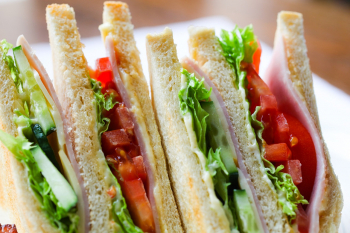 This especially comes into play with catering or delivery service, a large component of the sandwich shop business. The Uber Eats, DoorDash, GrubHubs of the world will offer unlimited choices in a large city. For the smaller market, you’ll be one of a few instead of lost in the mix. A final reason to focus on the second and third tier locations when you buy a restaurant is the cost of living. Not only will you reduce your own operating costs for basic needs like insurance and labor, but your customers also benefit. The cost of living will almost always, be lower than in the “major league” cities. With less money paid out for taxes, mortgage payments, insurance and all the other expenses associated with these markets, your customers have more disposable income to spend. Where do they like to spend those funds? Dining out is top of mind along with entertainment for free cash flow. That’s good news if you are buying a restaurant in a city like Birmingham Alabama or Bellevue, Washington (number eight on the list). That also means your own money will go further. You may be living in a rat race environment now where you need high six figures to support your lifestyle. Move to a smaller market and $85,000 may “spend” like $120,000 if your overall cost of living is reduced. Your family also benefits in ways that can’t be measured in dollars and cents when you buy a restaurant outside a major market. Smaller communities often mean a better overall quality of life. You may not be able to afford a home on the water in New York, but you can get all the views you want in Pensacola Florida. Your family will get access to great school systems, a family friendly environment and a sense of community that will spill over from your status as the local restaurant owner. The original survey of where to open a restaurant was based on research and analysis from the online equipment seller Bid-on-Equipment. They keyed into four attributes when ranking the best place to open a restaurant: Per capita spending on restaurants; the number of restaurants per capita; the number of restaurant workers available per capita; and the median income of residents. “Cities with growing restaurant scenes, like Austin, Nashville, and Denver, show why aspiring restaurant owners might not want to rule out second- and third-tier cities,” Bid-on-Equipment noted in presenting the data. We agree. Our feedback on where to buy a restaurant looks at cost to operate, cost of living and quality of life. By whatever measure you choose; don’t discount smaller markets too quickly. They may be just what you’re looking for when you consider the overall picture and your desire to buy a restaurant. The month of January was off the chart with activity, signed confidentiality agreements and buyers seeking new locations. Forget the government shutdown, our buyers didn't stop for a second. Lots of deals went into contract and to the closing table. What were the most popular restaurants for sale this month? The warm beaches of Delray Beach and Sunrise Florida rose to the top as our buyers looked south in the face of the big chill. We gauge the hottest listings by the number of signed confidentiality agreements, phone and text activity as well as inquiries from online websites. Here's the list ranked from highest to lowest. Three of the top five restaurants for sale were in sunny south Florida. The number one listing for the month was a sports bar in Delray Beach. Priced to move at $249,000, this has a long-term lease with reasonable rent. Our buyers are still considering whether to place an offer on this one. The second most popular listing was also in Florida. This was a restaurant space for lease offered by Ken Eisenband in our south Florida office. The easily managed space is only 1,400 square feet and with monthly rent at just $4445, this one is a great opportunity for those ready to do their own concept. One of our most popular restaurant for sale types is always an office cafeteria. We call this, "the restaurant business with banker's hours." This hot new listing by Steve Weinbaum offers six figure earnings on limited hours. That combination of high earnings with no nights or weekends had buyers calling, texting and signing up online for more information. Highly Profitable Office Cafe - Atlanta - Limited Hours Earning Six Figures! Ken Eisenband's team in South Florida continued to dominate the top ten with a Food Court Restaurant for sale. This location, which is just around 1000 square feet is profitable and easy to operate. It's no wonder it was causing the phone to ring! Another new listing - a cafe for sale in Alpharetta had Eric Gagnon fielding multiple calls and offers. 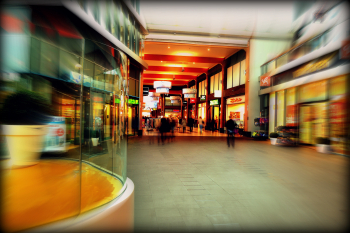 The North Fulton market features high income households amidst a thriving retail environment. Offered at just $125,000, this cafe for sale got not only phone calls and looks but multiple offers in the first few days on market. Cafe for Sale in Alpharetta doing $55,000 a Month in Sales! Winner! Restaurant buyers with a sweet tooth were all about this donut shop for sale in Colorado. A landlord ready to extend the lease and a entry level price point had a lot of buyers reaching out to Colorado Restaurant Broker Bob Steinberger on a deal. Profitable Donut Shop for Sale In Colorado Springs is Priced to Sell! Lease: 3 years left - landlord will extend. Minnesota might have gotten the frozen temperatures but buyers were red hot this month. A three store package of franchises for sale with sales over $1.4 Million brought Scott Ruby into the mix for the month. Priced to move, these stores are ready for a new owner today! 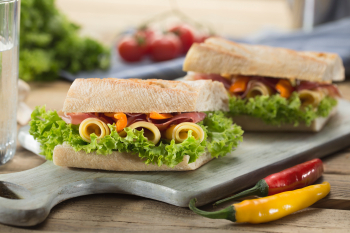 Three Sandwich Franchises for Sale in Minnesota - Sales over $1.4 Million! Overall, the month was jumping with activity and the top ten restaurants for sale got more looks, click, calls and confidentiality agreements than we have seen in recent time! The cold didn't stop these red hot deals from moving forward. What's in the future? We see continued strong interest in the market. Many deals are closing on restaurants for sale with the temporary life on the government shutdown and SBA lending back in full force. Want more information on these restaurants for sale or access to our latest listing? Follow this link. Buying a restaurant and owning your own business can be an extremely rewarding and lucrative investment. Most Buyers are surprised to know that often, it is really, not that expensive. There are restaurants out there selling for $30,000, $20,000 or even less. Some vacant restaurants are even listed for free! What the Buyer must understand is that coming up with the money [in most cases for restaurants this inexpensive, it needs to be CASH] is one thing. However, qualifying to sign or assume the lease with the landlord is another thing entirely and something you need to understand very well. Landlords are a different animal and not your friend. Once you reach an agreement with the Seller for buying a restaurant, you still will have to make a deal with the landlord. They are under no obligation to accept you as a tenant regardless of whether the restaurant’s Seller has accepted your offer. 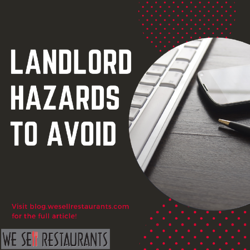 Any and all offers you make for buying a restaurant should have a ‘’lease contingency’’ meaning if the landlord will not approve you, you can walk away from the deal and get your earnest money quickly returned. You need to be very careful how the language in the offer contract reads in that regard. Consult your Certified Restaurant Broker and an attorney for advice on this language. In the case of almost any lease, the landlord will require what is called a ‘’Personnel Guarantee’’ That is a critical point that is important for you to understand. What it means is, that if your business fails, you can not get out of the lease by simply bankrupting your Inc. or LLC. You are PERSONALLY on the hook for the remainder of the lease. That mean to landlord can look for your personal savings, home equity, 401K, autos and personal belongings to satisfy the terms of the lease. Some leases also contain a ‘’acceleration’’ clause. Make sure you understand this. What that means is that if you default on the lease, say, by missing a month or two rent, then you not only owe that back rent, but you may owe the entire value of the lease due and payable immediately! So, say your lease’s rent is $6000 per month and you have four years remaining on it; you could possibly be liable for $288,000 plus late fees, plus attorney costs! Oh, and by the way, any friends or relatives who have cosigned the lease are in the same unfortunate hook as you are and if they are wealthier expect the landlord to pursue them more vigorously than they do you. It can make family Thanksgiving or other gatherings very uncomfortable. When buying a restaurant with an accepted offer, you have taken the first step. Landlord approval is the next. Most landlords will seek the following information from someone buying a restaurant. A personal financial statement showing the Buyer’s assets, liabilities and net worth. You only get one chance to make a first impression with a landlord. If you have any problem with providing the above in a fast, serious, comprehensive detail – DO NOT MAKE AN OFFER ON THE BUSINESS. You are simply not ready for buying a restaurant that has landlord involvement. If you are ready – get this info together now. Look at it and ask yourself ‘’If I was a landlord would I accept this person as a tenant?’’ Most landlords will require you to have a net worth of, at least, two years the value of the lease [again, if rent is $6000 per month that would mean $144,000 in total net worth. So, the take-away is, if you are interested in buying a very inexpensive restaurant, it can certainly be done but there are much more considerations than the simple asking price from the Seller. Many of the challenges lie with the landlord. Consult your Certified Restaurant Broker or your attorney for assistance. In the market for buying a restaurant? Visit our restaurant for sale listings online at this link. Selling your Restaurant may mean putting some materials together first. Here’s a checklist of what most Restaurant Brokers will need to make sure you put your best foot forward! There are limited buyers for the best restaurants for sale so be sure they get the best impression of your business. It’s all in the name. Selling your restaurant won’t happen without both the legal name of the selling entity and the business name (including the store number if it’s a franchise location). Make sure your Restaurant Broker also knows what type of structure you operate your business under, whether it’s an LLC, C-corporation or Sole Proprietorship. Expect an experienced broker to check the status of your legal entity with the Secretary of State before listing. A corporation that’s defunct will keep a transaction from moving forward. Franchise training time period and understanding of whether this occurs before or after closing. Date of any required refresh or remodel of the store and estimated cost. Copy of the franchise agreement. Do you have to tell your brand you are selling? Most franchise agreements state that you provide a “right of first refusal” and notification to the brand prior to listing. In reality, most owners skip this step until and unless it’s placed in contract. You should be clear on the process for transfer and understand who in the corporate office will assist in approving the new buyer. Make sure the restaurant broker knows how to reach you including your cellphone, email address and any other information to provide up to the minute results on listing activity. For the store itself, be prepared to provide information on employees (the number of full time and part time), a sample schedule and rates of pay. For the business, buyers and restaurant brokers want to know the operating hours, how long it’s been established and how long you, as the seller have owned it. They will also need to know the number of seats both inside the business as well as patio seating. Infrastructure is key to selling your restaurant and a key component of what you are transferring. Make sure you understand the size of your hood and grease trap along with the age and condition of any heavy equipment like the HVAC system, coolers or freezers. Selling a restaurant may seem intrusive in some regards. Buyers definitely want to know your reason for the sale. Be prepared with a response on why you are selling your restaurant whether it’s burnout, retirement, relocation or simply a change in lifestyle. When it comes to the lease, buyers want to see a physical copy. Either scan your original or ask your landlord for an electronic copy. They will want to understand the escalations as well as any option years. When quoting the rent, make sure you include Rent plus CAMS, taxes and insurance. Your restaurant broker will also need contact information for your landlord as well. It is critical that you provide up to date financial information when selling your restaurant. Buyers are looking at the cash flow to make a purchase decision. For lending, that means two years of tax returns plus the current year profit and loss statement. Decide up front, when selling your restaurant, exactly what will transfer. Will your famous cookie recipe be included or not? What about the picture of your family over the fireplace? If something is not included, pull it from the restaurant so you don’t have to explain that choice to buyers. Lastly, do some local research and figure out key economic factors that make this a winning location or opportunity for someone one. 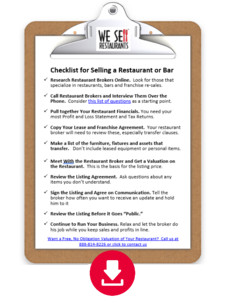 Selling your restaurant is easy if you follow this simple checklist and provide your restaurant broker all the information he or she needs. You can download our restaurant selling checklist at this link or contact us to sell your restaurant at this one.